If you’re worried that your older adult is showing more than the forgetfulness of normal aging and that it might be signs of Alzheimer’s or dementia, the first step is to get a full physical and mental exam from their primary doctor. Many doctors use a common screening test called the Mini Mental Status Exam (MMSE) to check for possible cognitive issues. The MMSE is a useful test for uncovering potential issues, but we explain why it’s only the first step and isn’t enough to make a full and accurate dementia diagnosis. The MMSE can’t be used alone to diagnose Alzheimer’s or dementia because the majority of questions test only memory and recall. Someone who knows what day it is, what a certain object is, or who can remember a short list of random things could do well on the test. But that doesn’t mean they don’t have dementia. Some types, like Lewy body dementia, affect judgement far more than memory. Non-geriatrics doctors often aren’t experienced in diagnosing Alzheimer’s or dementia. They might not know about the recommended testing and could jump to conclusions based on the MMSE results. As a caregiver, it’s important to know that it’s simply not possible get an accurate diagnosis for your senior in just one office visit. A basic physical exam and MMSE screening doesn’t give enough information to declare a case of Alzheimer’s and prescribe medications like Namenda or Aricept. Jumping to conclusions could cause your older adult to get the wrong treatment, which would clearly be bad for their health! Your senior’s dementia-like symptoms could be caused by a treatable medical condition like heart disease, vitamin deficiency, or kidney failure. Their symptoms could be caused by a medication side effect or drug interaction. They could have signs of depression or another psychiatric issue. Even if your older adult does have a form of dementia, how would the doctor know whether they have vascular dementia or Alzheimer’s or another type? Different types of dementia can require different treatment. The MMSE is a useful tool because it’s quick, simple, and can be used by any doctor without special training. But it has significant limitations and cannot be used alone to make a diagnosis of Alzheimer’s or dementia. 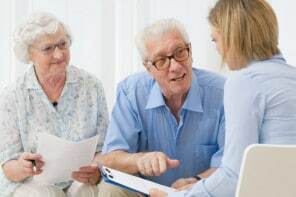 In order to get an accurate and specific diagnosis, your older adult would need additional testing and evaluation to rule out other medical conditions, medication side effects, or psychiatric issues that could be causing dementia-like symptoms.